Hello Pavel! We’re so happy to have you here introducing yourself to our readers! Can you share with us, who Pavel Ciorici actually is? 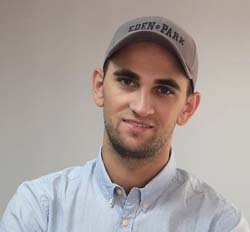 I’m a simple guy who used to work a lot in my 20s, and accidentally ended up building one of the most successful WordPress theme shop almost with no coding or business skills, but with a huge desire to do something unique. Just out of curiosity, when did you start using WordPress and why? I first started using WordPress in 2006 for my school’s website. Actually the website itself was made in HTML, but on the News page I embedded an <iframe> with a WordPress blog which I maintained separately for news. You’re also the owner of WPZoom, one of the first providers of premium WordPress themes. How did you decide to start it? I was very passionate about WordPress, and at that time (2008) there weren’t so many good websites with WordPress resources, so I started a blog called WPZOOM and occasionally published new posts with round-ups of good WordPress themes. As you can imagine, most of them were free at that time, so I had to search a lot to find something really good, new and unique. Shortly, more and more developers started to release premium themes, and most of them earned a lot of sales generated by affiliates like me at that time. 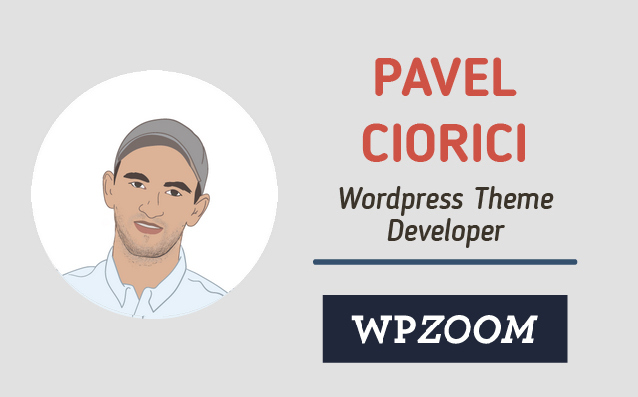 Since WPZOOM was already one of the most popular blog about WordPress themes, with thousands of readers, I knew exactly that I have to create a premium theme as well. So, it all started with my first theme called Yamidoo Magazine. Until the end of 2009 I’ve released several more themes and also improved my coding skills a little bit 🙂 At that moment WPZOOM changed its direction from a simple blog to one of the most popular theme shop. How do you promote your themes and services, besides social networks? I’m ashamed, but I have to admit that we almost have no marketing budget or marketing plan, and we simply prefer to focus our attention on creating great themes, releasing updates and providing an excellent support. We’re confident that if our customers will continue to enjoy our products and come regularly back for new themes, we’ll be in the business for a long time. Is there any WordPress theme that you would recommend to bloggers who have just started with blogging? If you’re asking for a WPZOOM theme, then I’d highly recommend Foodica, which can be used for any niche, not just for food blogs. But if you’re looking for free and great themes, then you should definitely check Anders Noren’s themes. What revenue model would you recommend to them? I’m not really familiar with current revenue models for bloggers, but I’m pretty sure that affiliate marketing should be highly considered. Do you have any starting points you would like to share with people who would love to give a shot to WordPress development? If you had to pick the top three reasons for your success, what would they be? Let’s assume we’re not omniscient… If you could be any animal in the world, what animal would you be and why?